A single-mom drama directed by Martin Scorsese, Alice Doesn't Live Here Anymore earned Ellen Burstyn a Best Actress Academy Award. The film is a compelling if uneven look at a determined woman tackling life below the poverty line. In New Mexico, Alice (Burstyn) has to deal with her difficult husband Donald, a delivery driver. Their preteen son Tommy (Alfred Lutter) cannot stand Donald and shows him no respect. But as bad as things are, life gets worse when Donald dies in a car crash. Left with no source of income, Alice packs up Tommy and their meager belongings into the car and heads to Monterey, with a vague plan to relaunch a long abandoned singing career. Forced to make money along the way they stop in Phoenix, where Alice finds work singing in a decrepit bar and gets involved with the seemingly charming Ben (Harvey Keitel). But he also turns out to be bad news. On to Tucson, where Alice accepts a demeaning job as a waitress at Mel's Diner. She gradually makes friends with fellow servers Flo (Diane Ladd), a sharp-tongued survivor, and Vera (Valerie Curtin), who is meek and clumsy. Meanwhile, the long suffering Tommy falls under the influence of tomboy and trouble-seeker Audrey (Jodie Foster). When Alice meets David (Kris Kristofferson), she has to decide whether she can ever again invest in a relationship with a man. 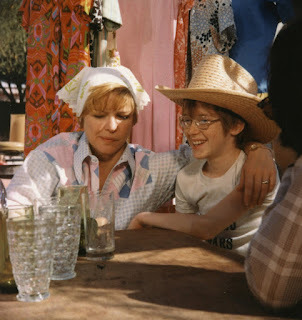 A relative oddity in Scorsese's portfolio, Alice Doesn't Live Here Anymore is a woman's perspective on America's oft-forgotten underbelly of poverty, where life is a daily struggle and the trade-offs often reside between domestic strife and starvation. The film mixes road trip drama with some comedy and plenty of humanity. Not all the scenes work, and there are clunky passages with vaguely unconvincing fluctuations in mood and emotions. But overall, this is an emotionally satisfying story fueled by genuine passion. This is also a quintessential 1970s film, where every scene is given its due, the focus is on the reality of settings, movements and actions. When Alice pounds the sidewalk to find a job, Scorsese pounds the sidewalk with her, and every shady character she meets, every bar she enters, and every door that slams in her face is coloured in. With the Arizona sun bathing the unattractive locales a sickly yellow and orange, the result is a film that burns its way into the memory. Far from Scorsese's typical world of gangsters and male camaraderie, Alice is underpinned by just the one genuine relationship: Alice and her son. Tommy is forced to grow up in a hurry, and his incessant and perceptive questions challenge Alice to explain her actions, and more poignantly, her feelings. And every decision that Alice makes has an impact on Tommy. When her choices are bad or she stretches herself too thin, it is Tommy who suffers. Audrey's confident audacity becomes Tommy's refuge, and a potential gateway to a world of trouble. Burstyn initiated the project and brought it to up-and-comer Scorsese, and Alice became his first major studio production. With the success of The Exorcist having confirmed her status among the top echelon of actresses, Burstyn commands the film and funnels the various societal implications of the women's movement into her character. Alice is resourceful, determined and indeed indomitable. But in a society quick to take advantage of the seemingly weak, she is also vulnerable and often forced to decide between unappealing options to stave off loneliness or financial ruin. At the unlikely destination of Mel's Diner Alice finally starts to find a semblance of the community she is desperately looking for. The crusty Flo, the sympathetic Mel himself, and the intriguing David are not necessarily easy to like. But with the passage of time Alice starts to form the meaningful bonds needed to evolve from individual to society. Alice may still not be sure where she is living, but she at last begins to understand what makes a home.